Sometimes in Summer you just have to step away from the salad bar and belly up to a big bowl of creamy comfort food. Last night, the Maine skies were filled with Mother Nature;s fireworks. Lightening made a dramatic light display across the night sky, quickly followed by booming thunder, while we sat and counted the seconds on our fingers. If my dog was here, she would have been hiding under my bed. 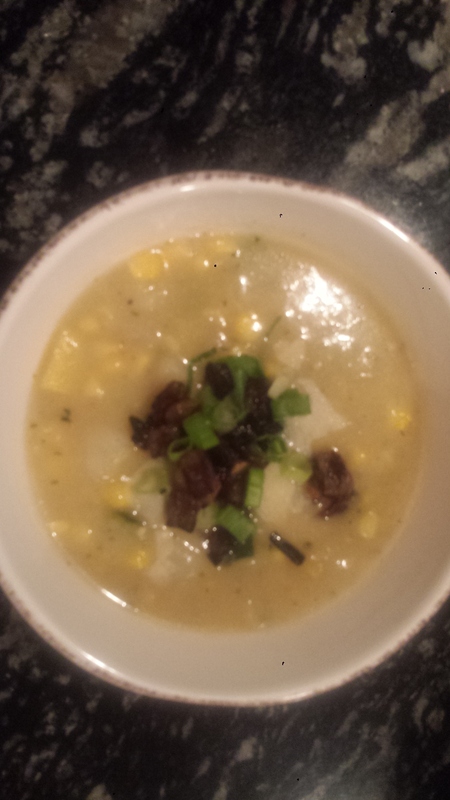 This was a perfect night for Summer Vegetable Chowder, fully loaded, or more specifically, topped with tasty brown onion bits (instead of bacon), scallions, flaked parmesan and cilantro. Yum! This thick, creamy chowder is filled with seasonal veggies; zucchini, summer squash, potato and sweet corn simmered in a light vegetable broth with creamy coconut milk. I have been trying to experiment with more vegan recipes and using fewer animal products in my cooking. This recipe is vegan except for the addition of parmesan as a topping which, of course, is optional). 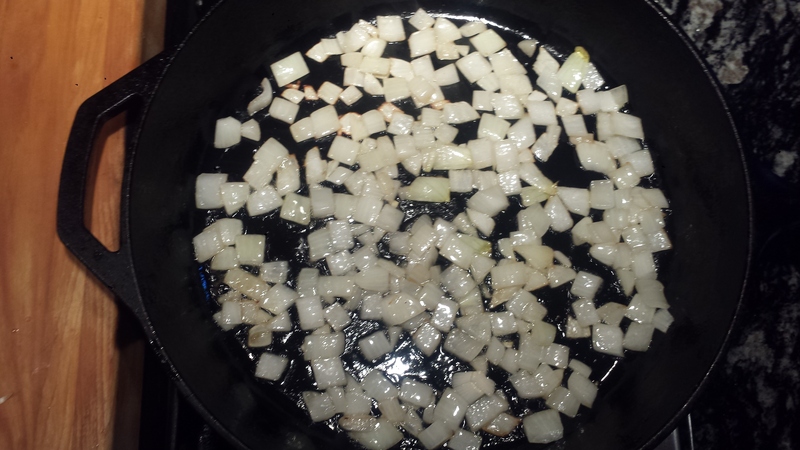 When I was sauteing the onions and celery, I forgot to stir for a few moments and some of the onions turned brown on the edges. I started to pick the brown bits out and then tasted one and realized I had hit paydirt! The browned onions were just the flavor that my vegetarian chowder was missing, so I decided to take the other half of the onion and make them on purpose to use as a topping. Loved them! I used to be a big bacon lover and I am always looking for good substitutes. These onion bits don’t get crispy like actual bacon does, but they have that same umami that we love so much. Of course, toppings are optional, but… why not? TIPS: I used unsweetened coconut milk (fresh from a carton not a can) but any kind of milk would work, vegan or regular. 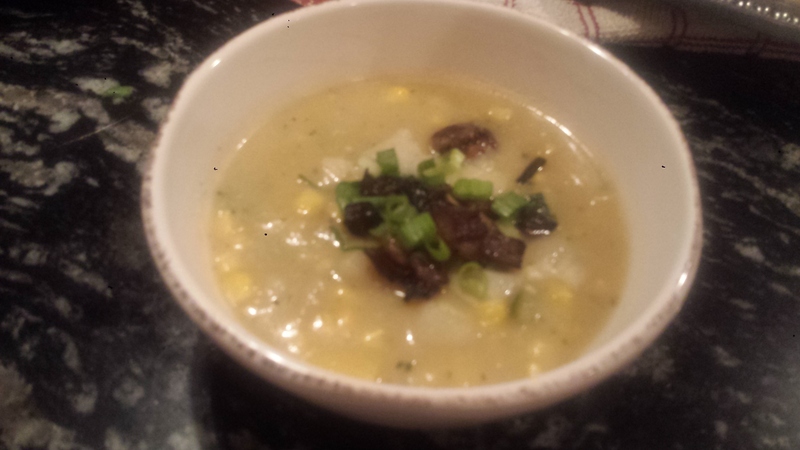 I also made it creamier by pureeing half of the cooked vegetables and putting the mixture back into the soup. It’s a great way to add creaminess without adding heavy cream. 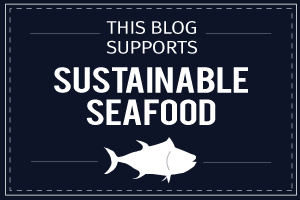 If you prefer a more brothy soup with more vegetables, then skip this step. 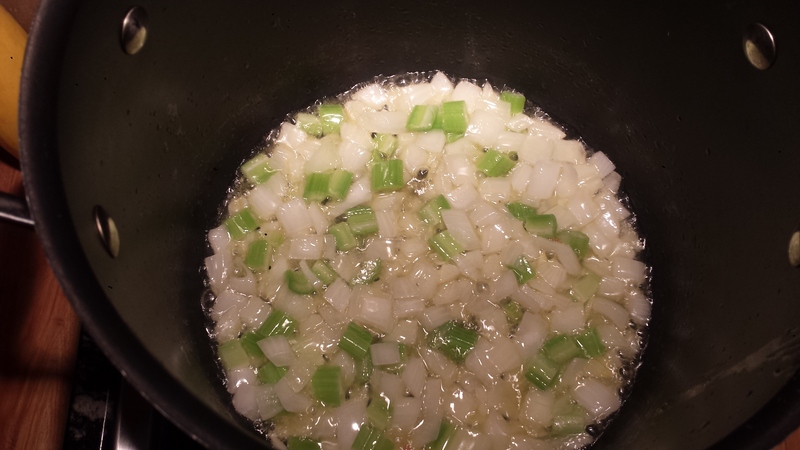 Saute onions and celery in olive oil or butter in a large stockpot for about 10 minutes or until tender. Add potatoes and vegetable stock and cook until softened, 15 to 20 minutes. 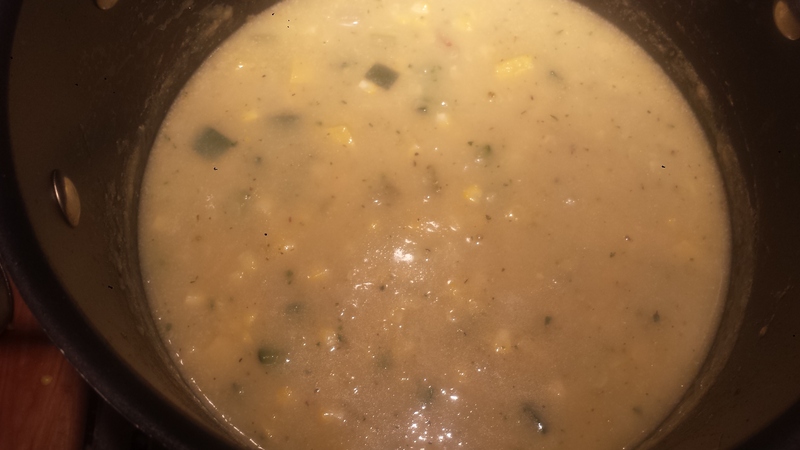 Add squash, zucchini, corn, thyme and coconut milk and simmer until vegetables are soft. Season with salt and pepper. 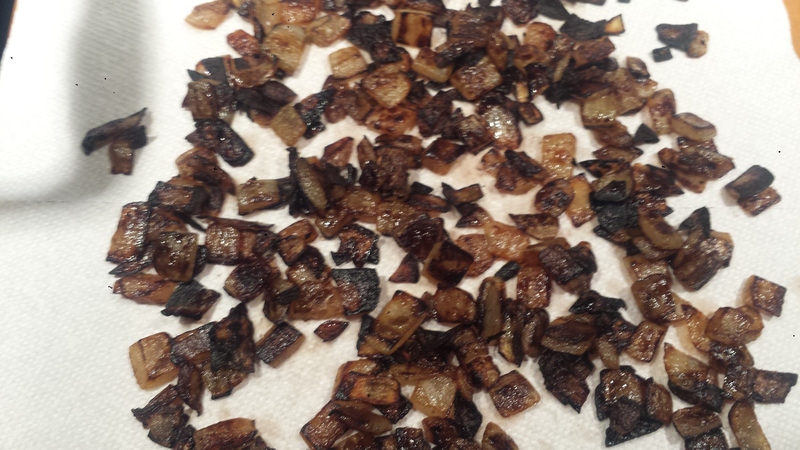 While soup is cooking prepare Browned Onion ‘Bacon Bits’, if using, and set aside (Directions below). Prepare toppings, if using. 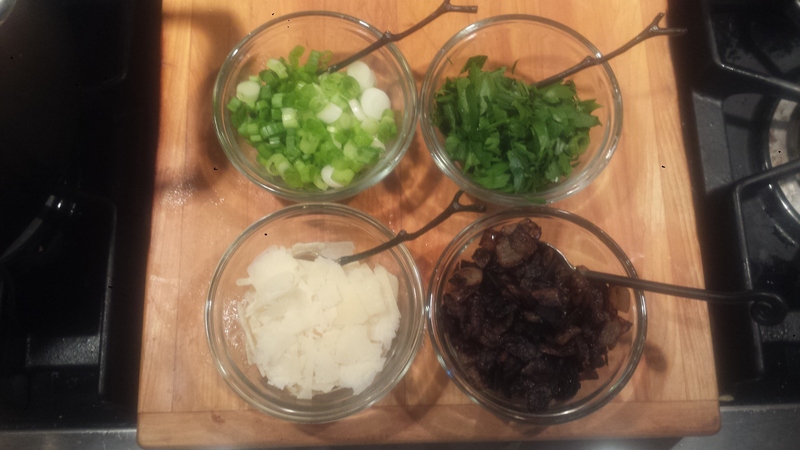 In addition to the onion bits, I also served fresh herbs, shaved parmesan and sliced scallions. 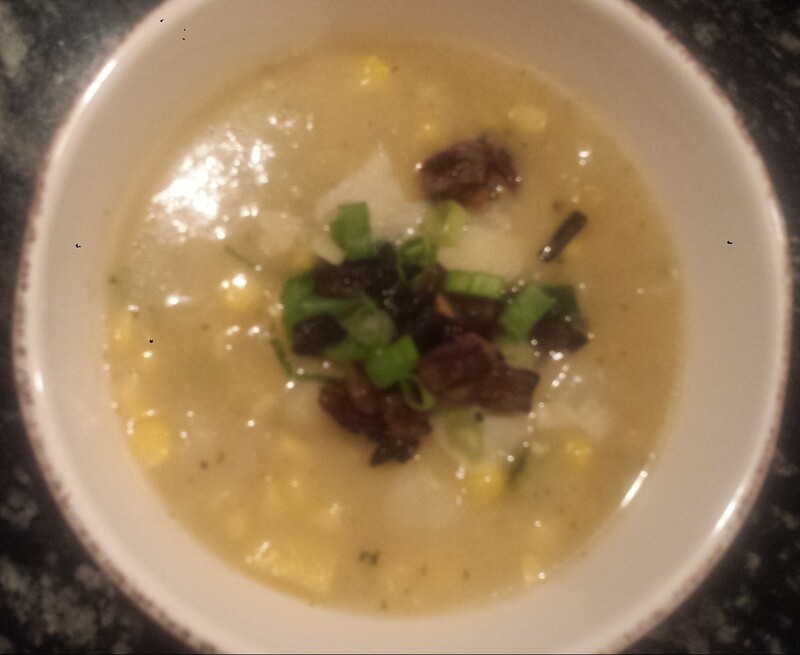 Ladle soup into bowls and allow guests to ‘decorate’ their dish with desired toppings. 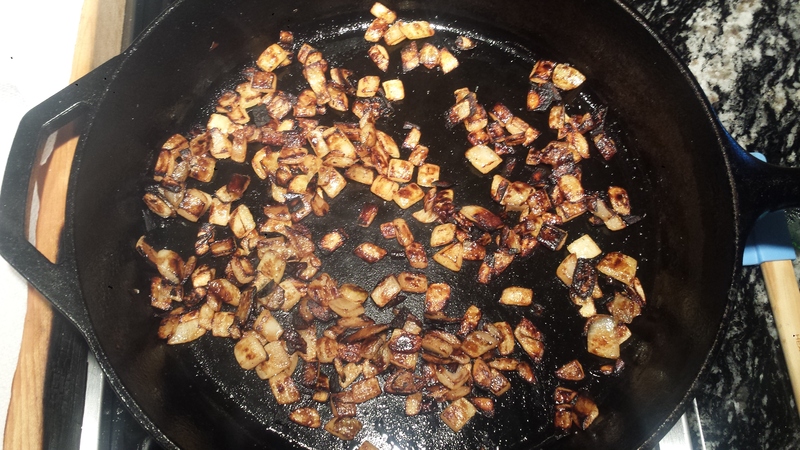 Chop one half large onion and brown in 1 Tbsn olive oil or coconut oil and 1 Tbsn butter, vegan butter (optional) in a heavy saucepan over medium heat until browned, about 20 minutes. Transfer to a paper towel and let cool. They won’t crisp like bacon but add that great salty, fatty flavor. Place in a small serving bowl when cool. 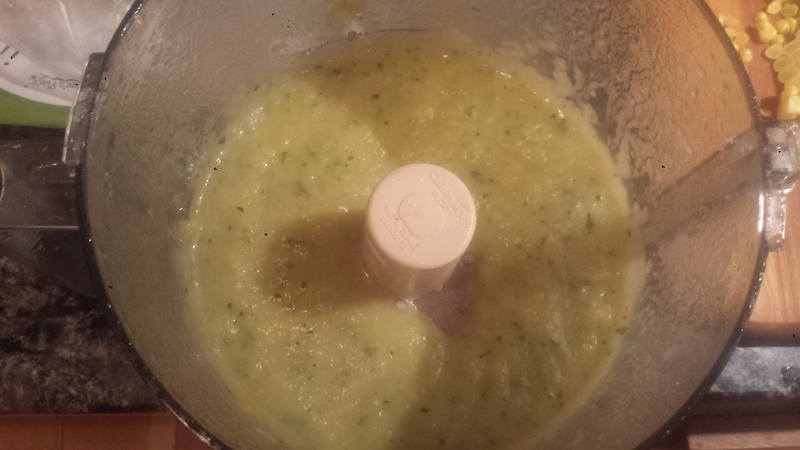 Add potatoes and vegetable stock and cook until softened, 15 to 20 minutes. 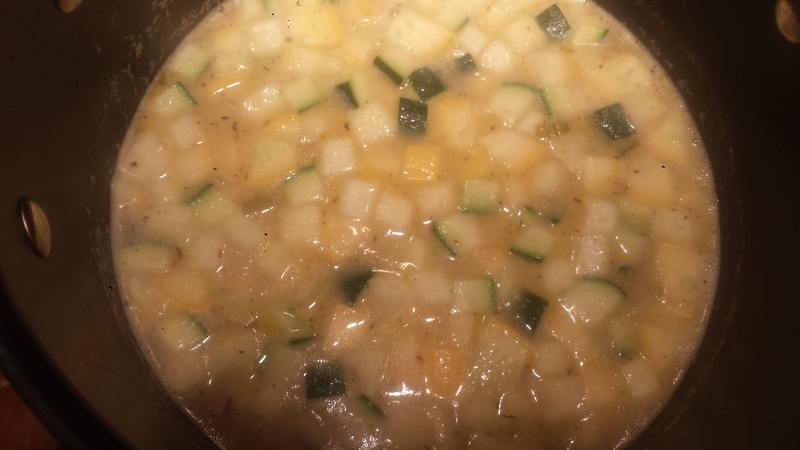 Add squash, zucchini, corn, thyme and coconut milk and simmer until vegetables are soft. Season with salt and pepper. 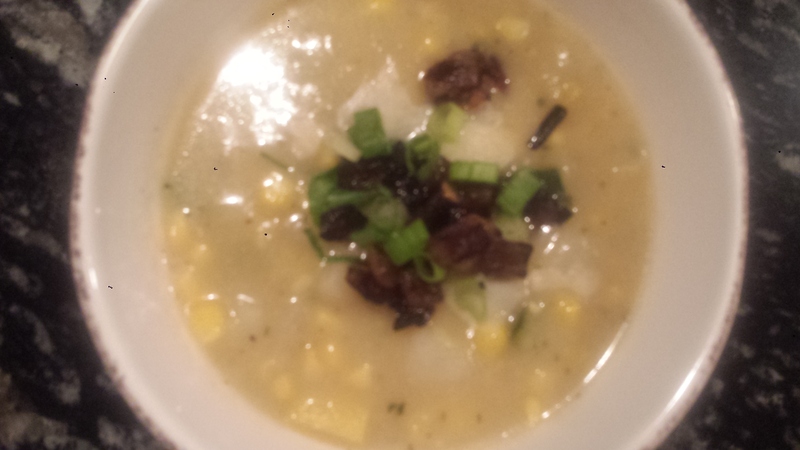 Ladle soup into bowls and allow guests to ‘decorate’ their own bowls with desired toppings.